Sundays are meant to be a day of rest, but if you’re like the rest of the city, it can be a hectic day as any. As a staple to many as your classic English Breakfast tea, so goes the actual breakfast portion. What Londoners love the most is the perfect Sunday brunch. But if you’re tired of setting your alarm to race the city for a spot at the Breakfast Club and being jostled in the queue for at least half an hour just for some eggs, we’ve rounded up a few other brunch spots that’ll be sure to satisfy even the pickiest of eaters. Long lauded for its ties with celebrity spotting, the rich and the famous have coveted this spot for years. A firm favourite for many, whether it's a spot to work, meet, drink or eat, has also become a popular brunch place. As A-list as its regular guests, so are the menu options, there are must-try choices ranging from Michellin-starred chef Nuno Mendes’ grilled lobster roll to the more classic buttermilk pancakes. 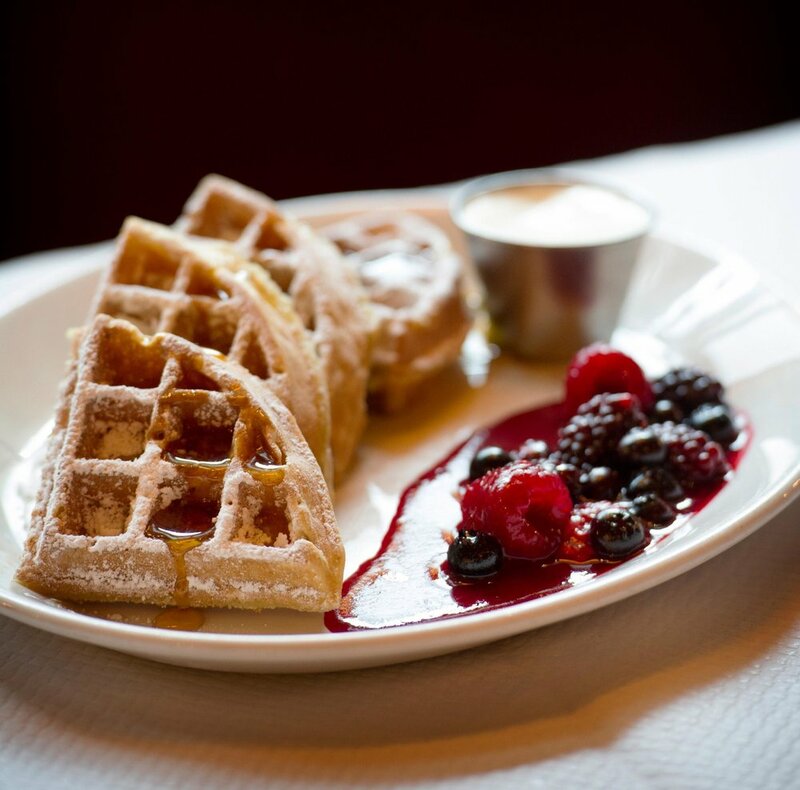 For those that like to share their food with the world, Caravan is a picture worthy spot for brunch. Situated in three prime locations around central London, each with their own signature style, the food is as good as it looks. The food options are vast, whether you’re looking for coconut bread with fresh strawberries and lemon curd cream cheese, or something savoury, a salt beef brisket hash or perhaps jalapeño cornbread? The list is endless. 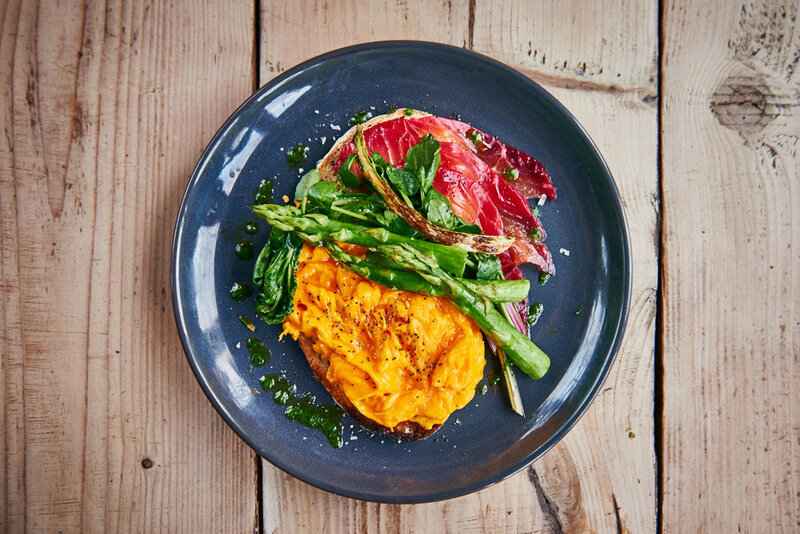 Located south of London, Brother Marcus can satisfy two cravings at once – a nice pretend getaway from the hustle and bustle of central London while enjoying delicious brunch options. Its unassuming store front and courtyard makes for a homey feel, made with quality ingredients, their Marcus Breakfast, pork belly with fried egg in a Cretan pitta, or their Brother Special, scrambled eggs, asparagus and beetroot cured salmon toast is worth the longer train journey. 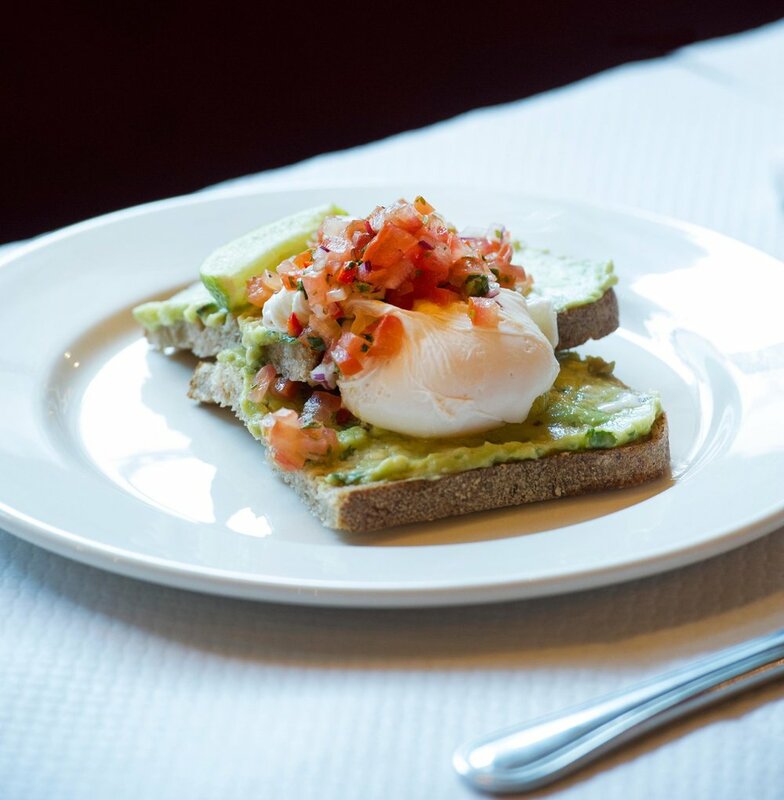 For a twist on the traditional breakfast options, there’s no better place than Marylebone’s Pachamama. Breakfast with a Peruvian twist is the centerpiece of this table, there, you’ll find hefty portions so be sure to go in on an empty stomach. Seated in comfort, the décor is as heartwarming as its delectable dishes that include Peruvian style charcoal-grilled chicken with jerk sauce and sweet brunch waffles made from quinoa or sweet potatoes topped with mouthwatering Peruvian chocolate and cacao crumbs. This is one spot you’ll most likely never have to worry about queuing. Situated in the heart of Covent Garden, its impressive high ceiling and intimate French décor brings a spin to the cobblestoned streets at its doorstep. The menu includes your traditional brunch classics, eggs cooked in every way with homemade muffins or sourdough toast. For a heartier meal, order the duck shepherds pie, a spin on the English classic, or for the vegetarian brunchers, the baked aubergine with artichoke ragout.